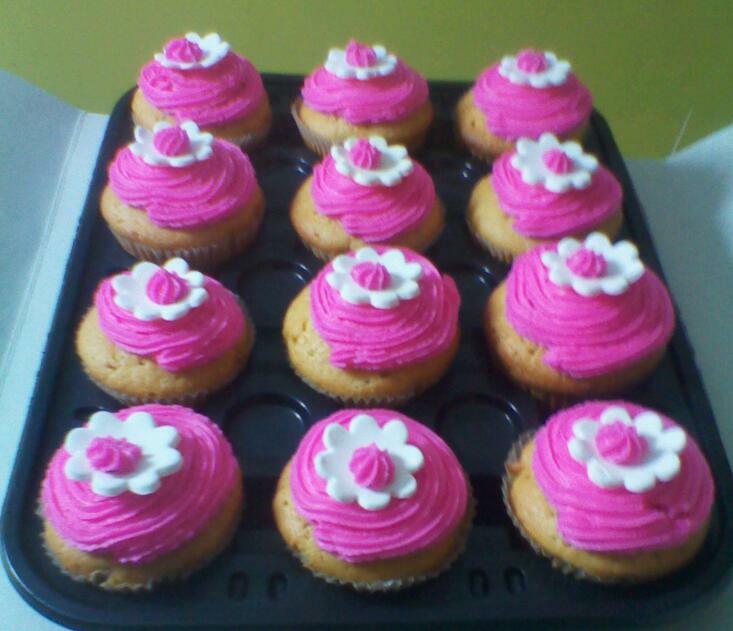 For a small shower one of our lovely customers was having, she wanted frosted cupcakes with a customized look. The theme for the shower was pink, so we brain-stormed abit with her and she loved this idea. Hope you do to ^_^!! 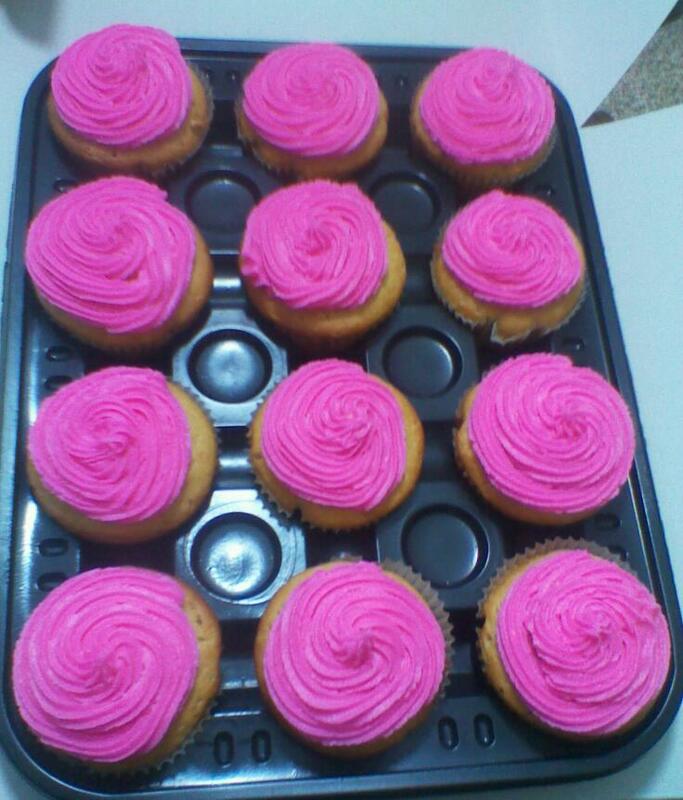 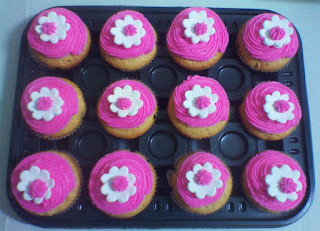 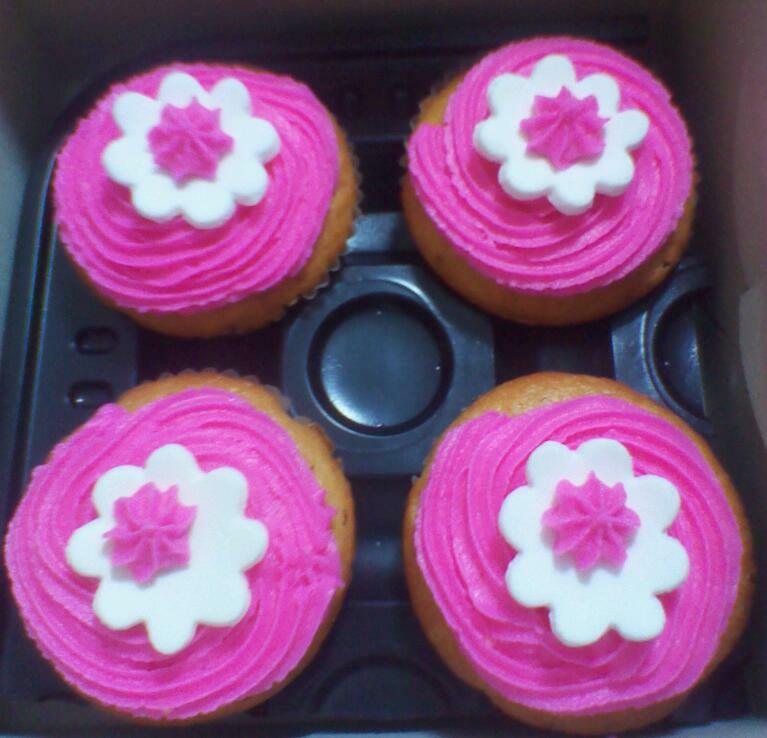 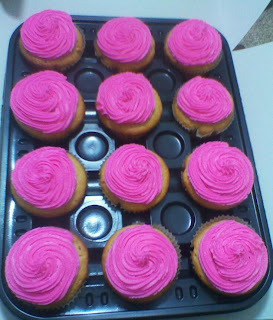 We can customize our frosted cupcakes with a color-theme of your choice, just let us know ^_^!